In the past few weeks Dual Universe has been on occasion described as being mainly a PvP MMO. However Dual Universe is so much more than this: it has a rich "Builder" gameplay at its core, which is rather new in the MMO genre (at least at this scale). Specifically, this gameplay is not just a kind of single player experience added on top of a MMO, but takes an entirely new dimension because of the fact that you are building within a MMO that takes the word "massive" seriously. This is a crucial aspect, and is central to the emergent gameplay experience. - We would like to send a message: our game is as much a Builder Game as a PvP Game. - In our game vision, building constructs will be the first brick of the gameplay cycle. Warning: everything said in this blog post is still "work in progress". Development is an iterative process and the gameplay may evolve a lot between now and when the players will get their hands on the game. Instead of just remaining an end in itself, we want to give to the Building activity a purpose to all the time invested in it. To build gigantic things and just stare at them once they are finished feels like something is missing. If you have played other Builder games, like some people in our team, you might have felt this way. That's why we plan to place the Builders at the heart of the Economy. We want to make them feel useful or even essential to other players. Builders will be able to sell, or buy their creations together with other players to increase their wealth for other purposes. Building activity will, along with the crafting activity, bootstrap the player-driven Economy. And a strong emergent Economy will be necessary to make PvP possible on a large scale. So even for PvP Players, Builders will matter. You are an artist for the sake of Art, and you don't really care about making your creations profitable or being useful to anyone. That's fine and even in that case you could still have a solid reason to build in a single-shard game like Dual Universe. Why? If you want to show what you're capable of to the community, well, in the average Builder game, you will be able to show your work to 20, 50 or possibly a few hundred players if you are on a solid and very populated server, but this is still a small part of the game community. Of course, you have social media to enlarge your audience, but watching a video on YouTube is not comparable to seeing an impressive fortress in game, right? Imagine that in a single shard universe, your creations can become a tourist attraction similar to real life monuments (Statue of Liberty, Eiffel Tower), bringing thousands of in-game visitors just here to see your Art? Well, you get the picture. - Arkification Token: the ability to find tokens (alien relics?) for the players while exploring or mining. They could be used wherever the owner want, and will be destroyed upon use. This would then create an indestructible safe area and anything in it become untouchable by PvP Mechanisms. - Alien Ruins: areas on planets containing lost, deactivated alien technology that could be rebuilt/reactivated by players. Once the area is rebuild/reactivated, the area becomes safe and anything in it becomes untouchable by PvP Mechanisms. - Virtual Simulator: enabling player to enter a virtual world (call it "inception syndrome"!). While in that virtual space, the player would be able to design any construct, in a completely peaceful setting. This would help builders to design their construct and create their blueprints safely, without being interrupted by any PvP action. For ships, it will also be possible to test their flight mode, without risking a crash or wasting resources! What about the constructs built in non-secure areas? These will be destructible. We assume what take the most time in the building activity is to design a construct the first time and tweak all the small details on it. Once you have the Blueprint, or a Construct Snapshot with a Repair Unit, it's only a matter of gathering resources to repair it or reproduce it an infinite number of times. This is the best way to make the PvP destruction acceptable in our opinion, but we remain open to community suggestions! Those who have predefined blocks which are easy to take in hand gameplay wise, enabling players to build nice designs quickly but where the creativity is limited, due to the number of different preset blocks you can choose from to build with. Those who have voxel tools enabling players to manipulate the world to reach maximum creativity freedom. The drawback is generally that this ability to manipulate voxels is incredibly intimidating and difficult to take in hand for a beginner. While a few experienced players can build wondrous things, the vast majority of players are overwhelmed and discouraged. In order to avoid the pitfall from the two genres, we've come to the conclusion to get the best of both worlds to appeal to both experienced and novice builders. So yes, in the Alpha, you can expect to have "Voxel Tools" as well as what we call "Voxel Elements". 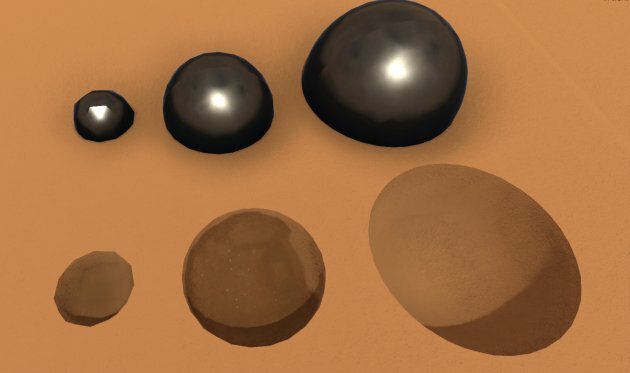 So, what exactly are Voxel Tools & Voxel Elements? In a nutshell this tool enables the builder to deploy (or remove) a primitive shape, a bit like a 3D brush. Right now it can be a cube, a sphere or a triangular prism. The size of the shape can be resized and rotated. It can be used for deploying/extracting large shapes or for fine tuning those intricate details. However it will grow in versatility as time passes: we plan to include cylinders, cones, tetrahedrons (triangle-based pyramid), square-based pyramids and many more! this enables the builder to create a plain linear connection between two rectangular surfaces that you are free to define. Both the starting rectangular surface and the ending rectangular surface of the volume are defined before deployment: the size of the rectangular base at each extremity is decided by the player with a simple drag&drop movement. this enables the builder to smooth sharp edges and corners progressively enabling more organic and streamlined shapes to be made. The smoothing action can be triggered either by a click or by maintaining the mouse button to have a continuous smoothing action. this enables the builder to select a precise group of voxels and save it temporarily (like in a clipboard) or permanently in their Voxel Element Library. The selection can then be reproduced (copy/paste) in the world (assuming the builder has the necessary quantity of material to reproduce it). Note that it only stores the voxel content and not other game Elements (eg Engines). this enables the builder to "paint" any surface of a construct. In fact, it's material swapping: one voxel of a specific material is replaced by one voxel of another material. The removed quantity of material is put in the player inventory while the quantity of material used to replace it is taken from the player inventory. We will try to have two painting modes: sharp painting (similar to hard edge painting) and smooth painting (where the material recently deployed is slightly propagating to adjacent voxels, creating a blending effect). Put simply, a Voxel Element is a complex, predefined voxel-based shape constituted of one (or more) material(s). A spiral staircase is a good example of a Voxel Element. Voxel Elements will be gathered in a library. We plan to include more and more complex shapes in this library. The feedback from the community will be essential to know which complex shapes will be the most useful to builders. In the long term, builders will also have the ability to create Voxel Elements themselves, and to save them to their Voxel Element Library. 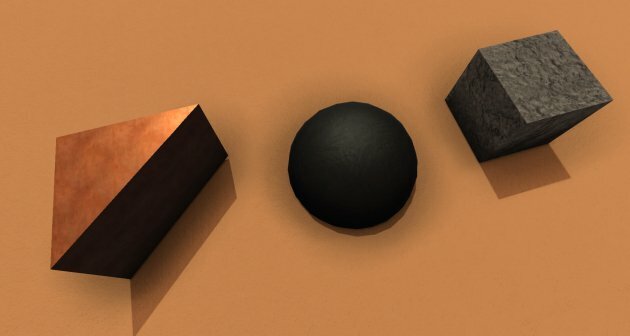 They will also be able to modify the materials used by the Voxel Elements, so if you want a metal stair with a wooden handrail, or vice versa, you will have to simply update the materials attached to the Voxel Element. As well as Voxel Tools and Voxel Elements there are also predefined game Elements like Cockpits, Engines, Boosters, etc... They bring functionalities to your Construct, and can be attached to your voxel-based creations, setting up their anchor point and orientation. Some Elements will be required to build certain things. A basic flying craft will require a Core Unit, a Control Unit, a Gyroscope, and a few propulsors (adjustors to orient, rockets to fly), but the voxel-made chassis, hull and design of the craft is entirely left to the builder. Well, that's all for now. We hope this gives you a better idea about the plans we have for all the Builders in Dual Universe. Don't hesitate to give your feedback on the forum, if you have any suggestion or comments to make: we really want to have your opinion on this! Location: Somewhere in a hole in the bottom of the fiery sea. 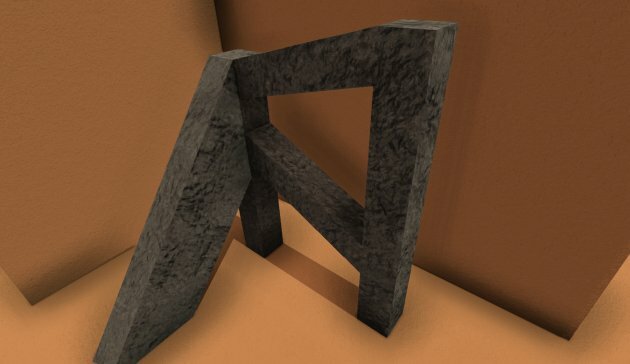 Just curious will there be a version of the line tool that can cut through material? Excellent post! Got my jimmies all rustled, but in a good way. i wonder if it would be possible to include a sketch tool similar to how solid edge works. It's always exciting to see another devblog! It looks like you're putting together a powerful and versatile set of tools. Are any of the three types of safe zones confirmed? Is the virtual simulator essentially a creative mode where you have access to all standard parts or perhaps all unlocked or discovered parts, which you can use to create your own blueprint? Then build it in the real world by gathering the required materials, etc? If so I think it's a great idea. The others are also great ideas if done right, but I've already given my ideas on that elsewhere. Are the elements fixed and unmodifiable? Or will it be possible to change their shape, size, color, material, etc? Will players be able to create their own versions of these elements? EDIT: BTW I think it's a very smart move to implement constructive gameplay elements before destructive ones. It's going to be so much fun build with these! I recently got back into minecraft for that builder and made a beautiful hobbit hole. But, as said above, there was something missing. It's fair to say I'm buzzing and eager to try out all of these building tools. It really sounds like NQ is making good progress. Keep up the good work! I want to ask a question as it's something I pondered on: unlike some builders out there that are genre non-specific, where you can build any style, DU is Sci fi, and has its own style and lore. Will there be style guidelines, or limitations to the styles people can build? That also includes copyrighted/recognisable things such as the Starship Enterprise or the Death Star. If someone builds a giant pink house for example, would action be taken to have that removed? I wouldn't build anything copyrighted or (hopefully) at odds with the Dual Universe/Sci fi style, but there will always be those that will. Or will DU be very much relaxed on what players build out in the world? and since the DU devs didn't make it and use it to sell the game, I don't think there'll be an issue. I could pull up the laws on it, but don't have the time to go digging for it right now. But yes, essentially you can build anything you want worry free. If you intend to sell said "thing" for real profit, then you may have a few lawyers waving their finger at you. Since NQ are simply providing the tools, even if a player tried to sell their own "thing" for a real profit, it still wouldn't affect the NQ team too much. At most, they'd get an upset letter and that's about it. Legally though, they may be required to ban the player, but I don't know beyond that. TL;DR - Don't worry about it. It's not about copyright, it's about the style and lore DU has, and whether building will be required to be lore appropriate. I probably didn't word my question very well. If someone built a giant nose for example, would that be required to be removed, because it's not in-keeping with the DU style. My typical style of building has tended to be classical/medieval/fantasy, but I do enjoy sci fi as well. I'm fully anticipating that I'll build the latter rather than the former, unless it has a sci fi style. and evolved into something else entirely. I'd love to go from sector to sector, being exposed to different player "styles". One place your in a steampunk area, the next a cyberpunk Bladerunner style. No need to limit player creativity because the developers have their own vision of what should and shouldn't be. If they did that, it would sort of go against everything they have been saying to this day. So would I. It's a Sci fi based game so I'd expect all varieties of many different styles. Its not about impeding anyone. I think my point was lost, but if someone builds something alien to a Sci fi setting. Like a giant nose (or something ruder).....would it be removed? I can tell by your response you understand my point. Looking at some interior concept pictures DU does seem to have its own style. And I vaguely remember Nyzaltar in a different thread referring to keeping to a DU style on a different topic. I'd have to hunt through the threads to find it. I know it's a building game but with Sci fi aspects. So if I build a Disney castle I doubt it would fit with the general atmosphere. But yes I'm looking forward to exploring my own style of building in this game, and seeing creations of others, especially from Sci fi builders of another building game in development. It's really quite exciting. Well it appears the idea was mentioned just last week in the team. We didn't say anything about it in the DevBlog because it's, for the time being, just an idea. The Devblog is about the Voxel Tools you are sure to find in the game at some point. But yes, we would love to implement a "Cutter Tool". The team is currently evaluating if it's feasible, possible to develop an intuitive gameplay for it, and how much development time it would take to implement it. We can't promise anything at the moment, but if we add another (or other) tool(s) after the ones already mentioned in the DevBlog, this one might the next! About the safe zones types, nope. None has been confirmed yet. As said in the DevBlog, the final decision will be taken when the team will start implementing PvP gameplay, not before. So it might take quite some time before having a clear answer on this topic. I can't give you either many details about the virtual simulator topic, as there are several possibilities. Our concern with the virtual simulator is the risk of seeing unrealistic (or broken) blueprints made by players. We want to find a solution that prevent players to create unrealistic blueprints regarding the necessary components... or at least making these blueprints recognizable at first glance by potential buyers. The topic is much more complex than it seems. For the time being, Elements won't be editable. On the long run, we might implement a "Dye system" but it is just an idea at the moment. One thing sure: Elements won't be resizable. Size matters at several levels (number of component required to build it, element efficiency, etc). We will double check with our legal department (it was already something we discussed in the past, but as international law may evolve and is quite tricky, especially in this blurry situation, we prefer to check and check again). So far, this is how it will most likely be handled (but what is explained below can always be subject to change): it will be stipulated in the EULA that If some players build something under copyright (USS Enterprise or Death Star), Novaquark staff might take action to remove it. After a first incident, if the involved players continue to build copyrighted things despite the warning, they might be banned (temporarily or definitively according to the number of offenses). We need to include this kind of measure in the EULA to be legally covered. In the facts, we will only do that if we receive complaints from copyright owner. But that shouldn't be seen as a green light to build copyrighted things. Players must be aware they take a risk (and must take responsability for it) if they build copyrighted things. In short, we dont wan't to hinder player freedom, unless we are legally forced. We will give a "starting style" (the Arkship, the generic construct blueprints available right from the beginning, etc). - The decorative props available will be related to specific styles (like the Art Nouveau style). But from there, people will be free to invent their own style. I missed your post. Could you develop a bit your idea? I'm not sure to understand what you mean by "how solid edges works"
And here I am doodling up schematics for ships and mechs and such for fun with pencil and paper! Ok, got it (thanks for the video. Indeed, I didn't know this software. I did know 3DSMax, Maya, Zbrush, Blender, AutoCad, but not Solid Edges). Well, I suspect this would represent a frightening amount of development time to implement this kind of tool in game. I will submit the suggestion to the team, but there is a high chance the ratio priority / development time to implement, even if accepted, won't put this suggestion on the roadmap before a few years following the official release. Sounds good to me , you're right, I hadn't considered the texture element. On consideration the textures will help people be inspired to build in a way that reflects, enhances and compliments sci fi and the DU underlying style. As well with props as you mention. I don't consider it will be a big issue that anyone will build far outside of sci fi (i.e Disney castles or giant pink jelly shaped houses), in fact I believe most people will build marvellous and varied structures in the spirit of sci fi, but there will always be one or two . Everything sounds great with the DevBlog! Really looking forward to seeing these building tools in game I also really like the idea for the virtual simulator. That would be a good choice for builders to prebuild a construct safely and securely before building/constructing it out in the actual game world. my question is..will it be possible to build with a higher-increase of details such another voxelbuilding Games? .. e.g. a table .. this prop can be very expressive with a lot of squiggles, or thinking bigger.. a Spaceship have among about mechanical equipments. 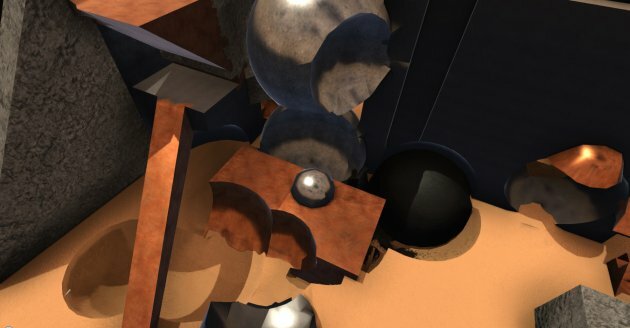 Possibility to build out such time-consuming things with 360? degree? You will be able to create as detailed of an object as the voxels allow. In DU, I believe a voxel is around 25 cubic cm so you could make a pretty good amount of detail with just the base blocks. Of course there's always voxel tools that allow for further manipulation and detailing, so in essence, yes, fine detail is achievable. Certainly detail would be better than that of Minecraft. How you would go about "voxelmorphing" these objects is still in development to my knowledge. As you have noted, 360-degree modeling and manipulation is a potential method of building, but I think Nyzaltar would be better suited to answering in that respect. really looking forward to this. Tools are looking like a great foundation so far. Really hope you can deliver on the shapes you mentioned, unlike landmark which overstated themselves and failed to deliver several promised shapes.